Flagship’s “Life Underwater,” gets the house music treatment by Conor and Liam Clarke, the real-life brother duo behind Love Thy Brother, known for their chart topping remixes of well-known acts including Drake and Banks. 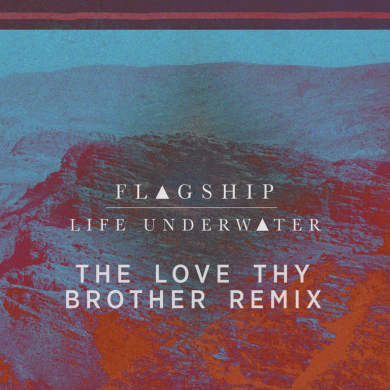 Love Thy Brother takes the track and turns it into a hot, hard, driving house mix. The shimmery summer infused groove is the perfect track to lead into Miami Music week is sure to work its way into more than a few Miami pool party sessions. Hailing from Montreal, Canada, LOVE THY BROTHER are Liam and Conor Clarke. The two young brothers create house that draws from the sounds and styles of the past 30 years of electronic music. Their top trending remixes of everyone from John Newman and One Republic to BANKS have seen them become sought after house remixers and producers.